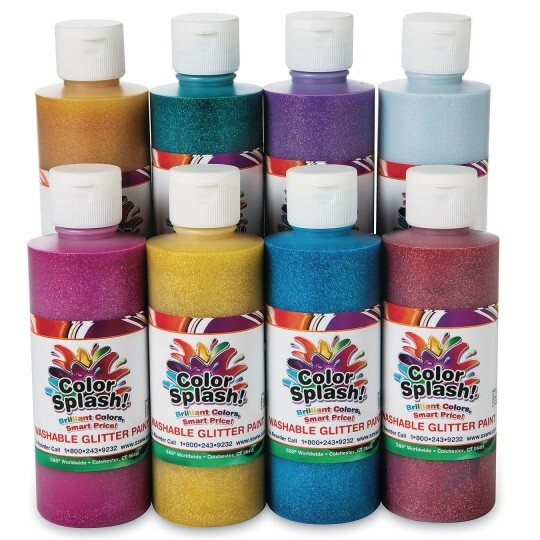 Achieve sparkling results with fun, water-based glitter paints! Washes from hands, faces and most clothing to make paint application and clean-up easier than ever. Plus the bright, bold colors are sure to excite every artist’s imagination. Non-toxic. Pack of 8 includes yellow, green, blue, purple, red, magenta, gold and silver.